It was important for Australia’s leading choral organisation to explore––amongst its members––perceptions and comprehension of communication and performance of the Board and the organisation’s strategic plans. 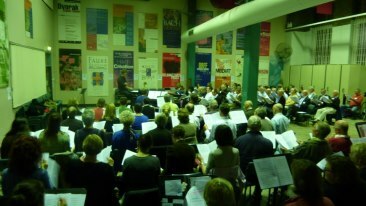 An online survey was sent out to all members of Sydney Philharmonia choirs, using its existing email data base. The survey included both close-ended and open-ended questions to explore issues including member satisfaction, retention of choristers, social activity within the organisation, company mission statements, and changing perception of the organisation over time. A Findings Report was prepared for the Board, detailing the findings of the survey.